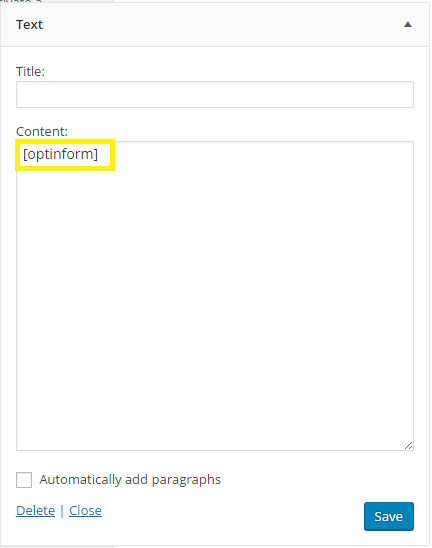 Solopreneur integrates with Optin Forms to allow you to add all kinds of forms to your WordPress website. The plugin ships with five different form styles right out of the box. If you’re running the Solopreneur theme, you get access to an additional three forms, too.The plugin allows you fully customize them through the configuration options. 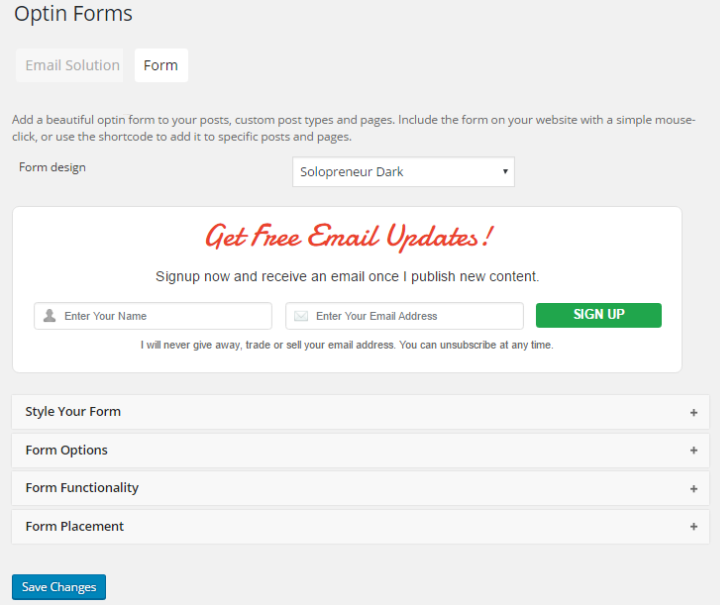 In this post, we’ll explore how you can add Optin Forms in Solopreneur theme. Assuming you already have Solopreneur installed, login to your site’s admin panel. Once the plugin is done installing, click the Activate link at the bottom to get started. Note: You will be prompted to install the plugin when you activate Solopreneur. In this section, we’ll walk you through a quick tutorial on how to set up your own Optin Forms in the Solopreneur theme. 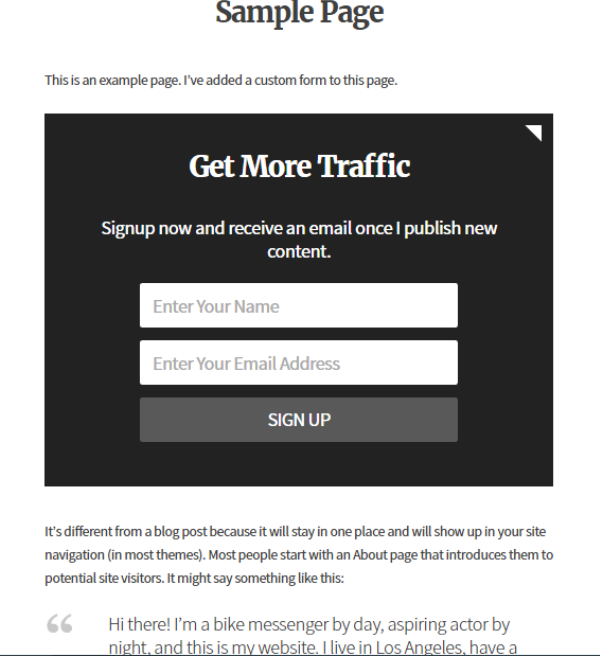 We’ll show you how to add forms to your site’s sidebar, posts, and pages. 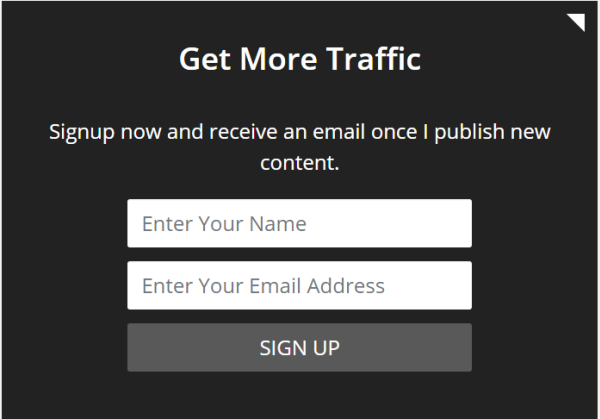 Navigate to Optin Forms from your WordPress site’s dashboard. Click on the Forms tab at the top of the screen. You’ll be presented with several different configuration options. Select from one of the eight forms designs to get started. The final form should look something like this depending upon your custom configuration. 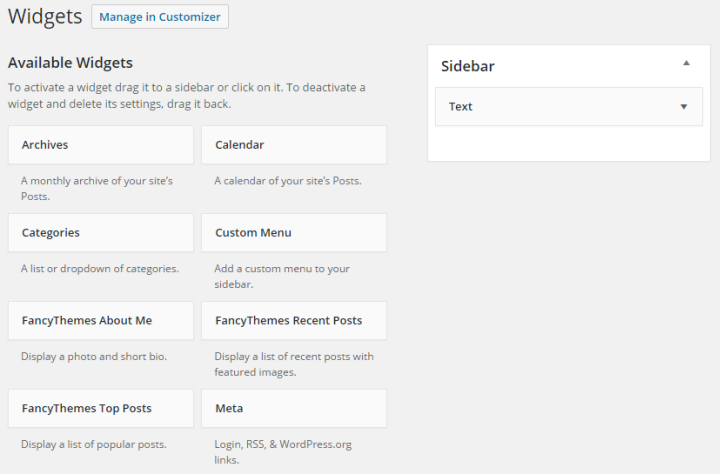 Navigate to Appearance>Widgets from your WordPress site’s dashboard. Add a Text widget to the Sidebar. In the Content section of the Text widget, add the following shortcode: [optinform]. Navigate to your website’s front-end and you’ll notice that the Optin Form you created has been added to the sidebar. 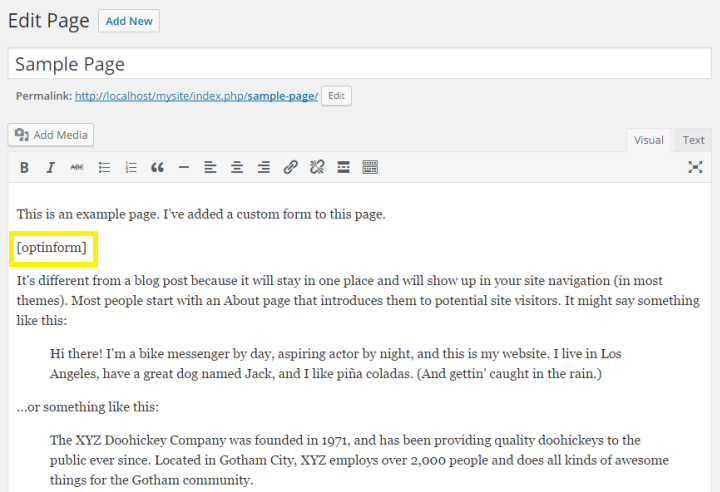 Navigate to Pages or Posts from your WordPress site’s dashboard. Select the page / post you’d like to add the Optin Form to. In the post text editor, add the shortcode [optinform] where you’d like to add the Optin Form. Click the Preview button to view your web page. You’ll notice that the form has been added to the page or post.